Looking to get started, or get back into running after a long break? 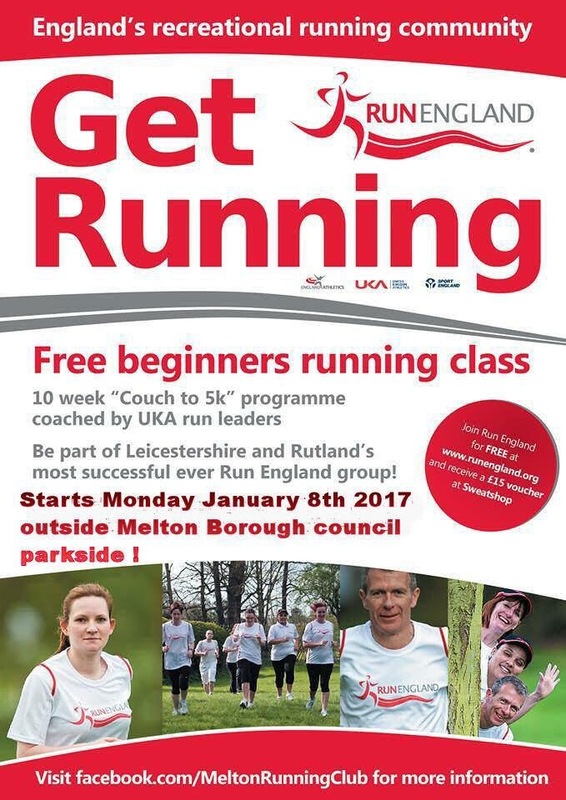 We have close links to the RunTogether group in Melton, otherwise known as “Melton Running Club” (see https://groups.runtogether.co.uk/MeltonRunningClub for details), and many of us will see you there! Sessions continue to be entirely free,with no commitment required and run throughout the year on Monday evenings – with a fresh ‘Couch to 5k’ 10 week programme beginning on Monday 9th January 2017. Meet at 6.30pm outside the Council offices at Parkside – but new runners are welcome to join at any time and are guaranteed a warm welcome.